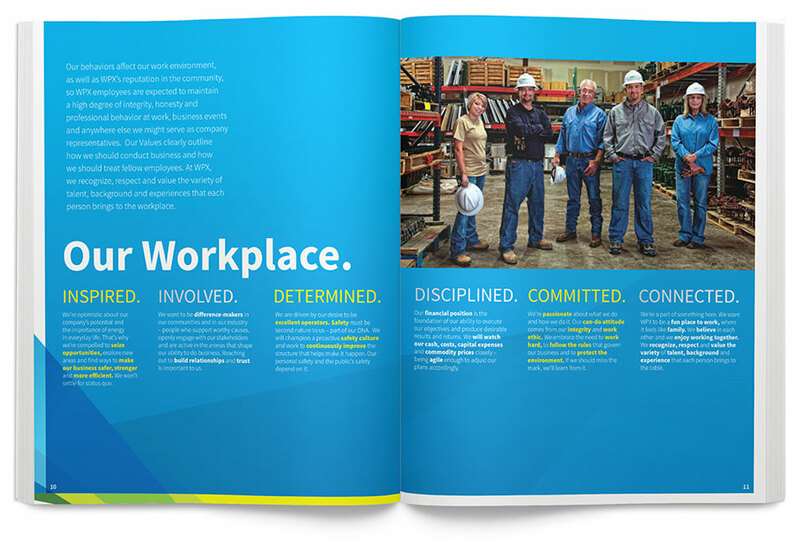 WPX Energy needed a Code of Business Conduct that aligned with their company culture and engaged employees to actively live the values of the company. 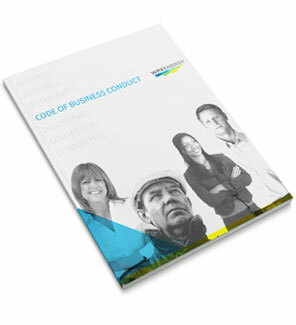 Developed key messages that aligned with the CEO’s central message of acting with integrity; highlighted not just the policies, but how employees should incorporate them into everyday decisions; and most importantly, make the code fun to read. The new code scored an “A” across all eight categories when graded by Corpedia, a national expert on codes. 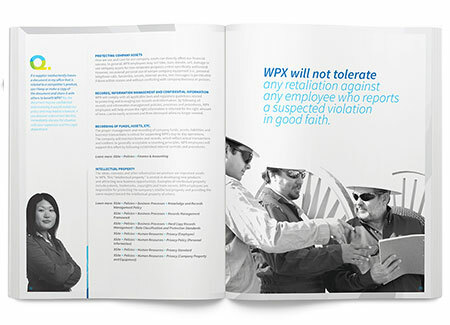 When compared to other codes across the nation, the new WPX Code ranked in the fourth percentile of all Energy & Utilities Industry codes reviewed by Corpedia and within the second percentile when benchmarked against the 2,500 codes in the Corpedia database. This project received an international IABC Gold Quill Award of Excellence, a Bronze Quill Award of Excellence and a Best of Show.